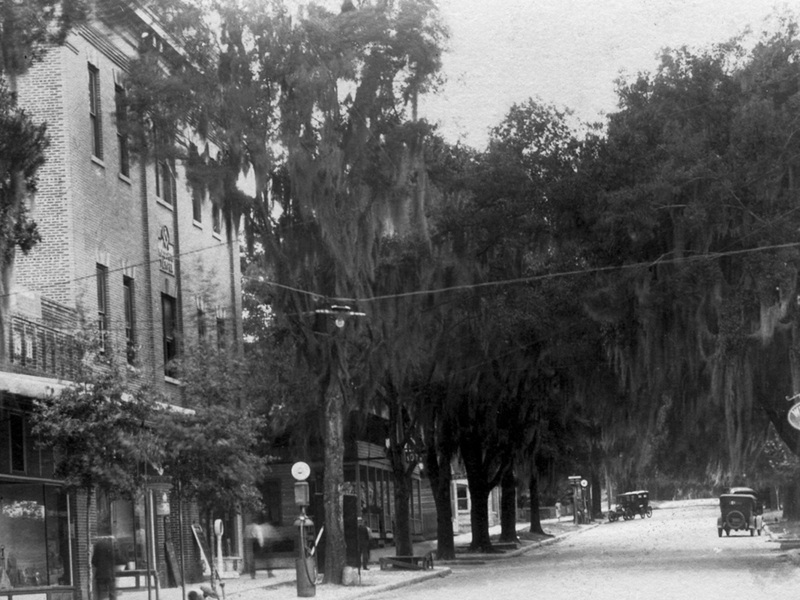 In 1910, the population in Inverness, Florida was a bustling 1,264 and it was a time of great prosperity and growth. The Masonic Lodge of Citrus No. 118 F. and A.M., spent $17,285 on the costliest building in the county at that time. Under the guidance of the Worshipful Master of the lodge, Clerk of the Circuit Court and proprietor of the Chronicle Newspaper, prominent Jacksonville architect Wilber B. Tally designed a beautiful building for the Mason’s. 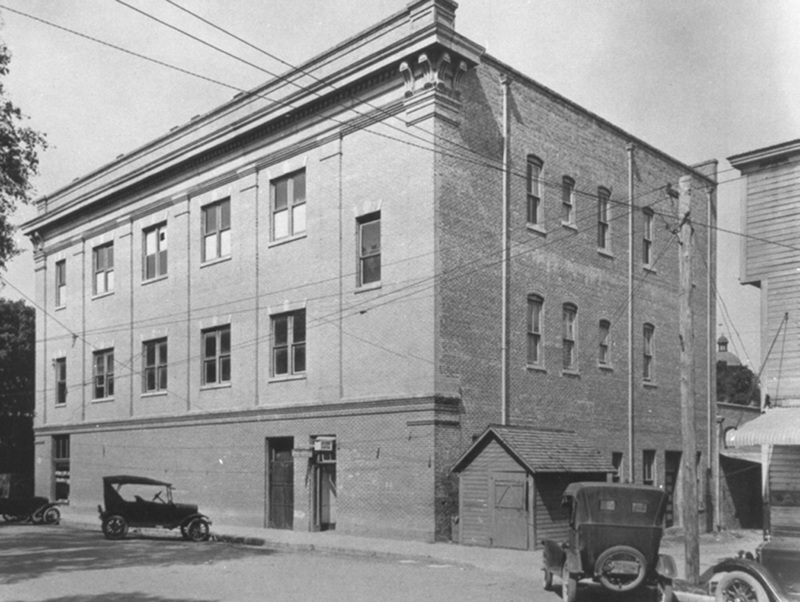 It was a 3-storied, commercial style, classic revival structure, with two storefronts on the bottom floor, five offices on the second floor and the lodge room occupying the entire third floor. The exterior was constructed of red and buff brick, with a metal embossed cornice and Masonic nameplate. The arched main entryway, lintels, keystones and Doric capitals were formed in creamy white concrete. Both of the storefronts on the first floor had a series of glass transoms that ran the length of each side and readily reflected the changes happening in the downtown area. 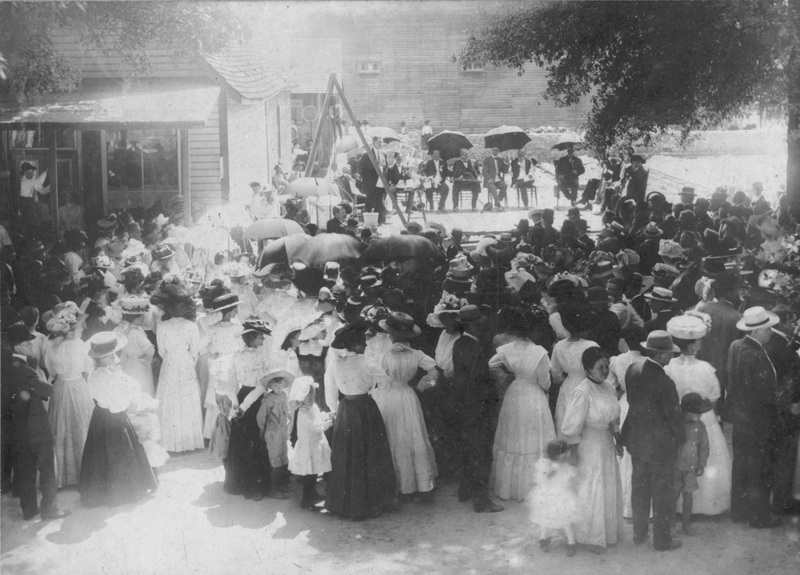 On the day the cornerstone was laid, crowds of over 2000 from all over the state were on hand to celebrate the temple’s dedication. All around, umbrellas dotted the scene and made small islands of shade under the bright, sunny day. Women wore high-collared starched blouses, full skirts, and wide-brimmed straw hats, while the men were dressed in their Sunday best. Sprinkled throughout the crowd, little girls in white frothy petticoats with enormous bows in their hair stood in sharp contrast to the little boys decked out in dark jackets with peter pan collars and knickers. African American’s stood across the street from the crowd and watched the event unfold. After many grand speeches on the Masonic order, the entire crowd proceeded to the picnic grounds where they feasted on an extraordinary dinner of barbecued meats, fried fish, Chicken Pileau, ham, pickles, loaves of fresh baked breads, pies, cakes of every flavor, fruit, barrels of iced water and jugs of steaming coffee. The town cornet band played “Dixie” and other tunes entertaining everyone as they ate. The Masonic Temple of Citrus No. 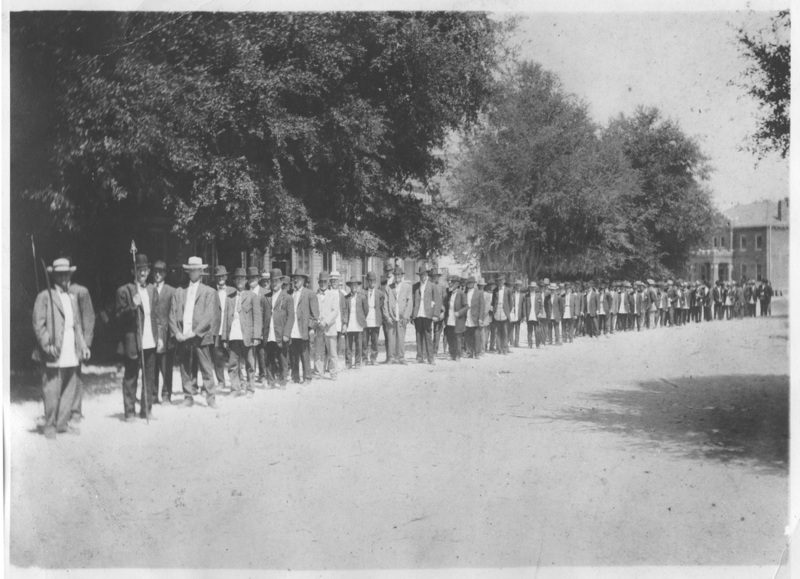 118 F, & A. M. was ready for occupancy one year after the cornerstone celebration in 1911. 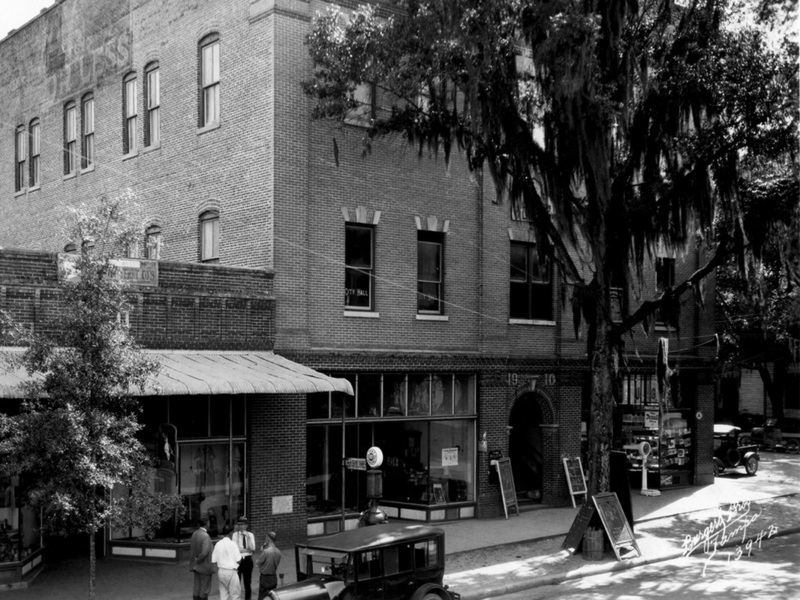 It quickly became the preeminent office location for local doctors, lawyers, shop keepers, and was the Inverness City Hall in the 1920s. 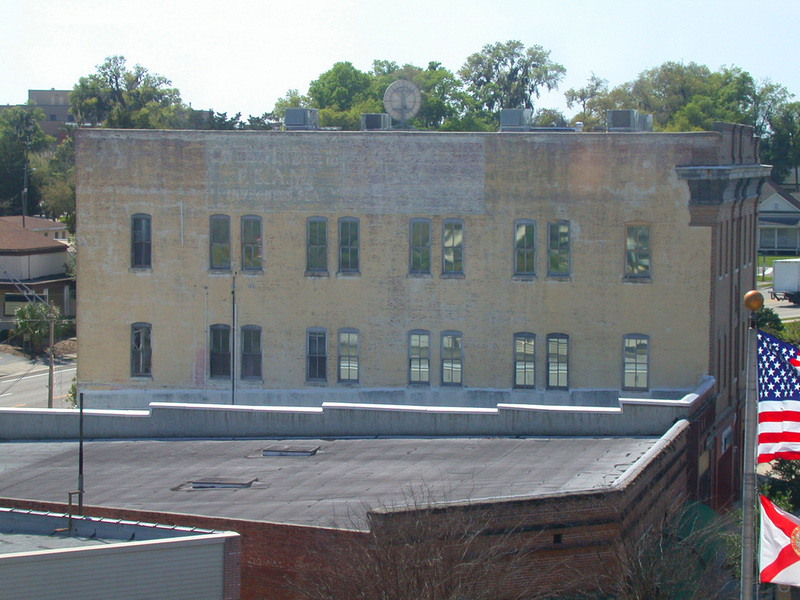 It remained a successful office building and Masonic temple until 1963 when it was sold to a private owner. In the 80’s a fire occurred that burned a hole in the roof and water quickly seeped in causing damage to the third floor ceiling. The pigeons moved in and the tenants moved out as the Masonic begin to slowly decay. 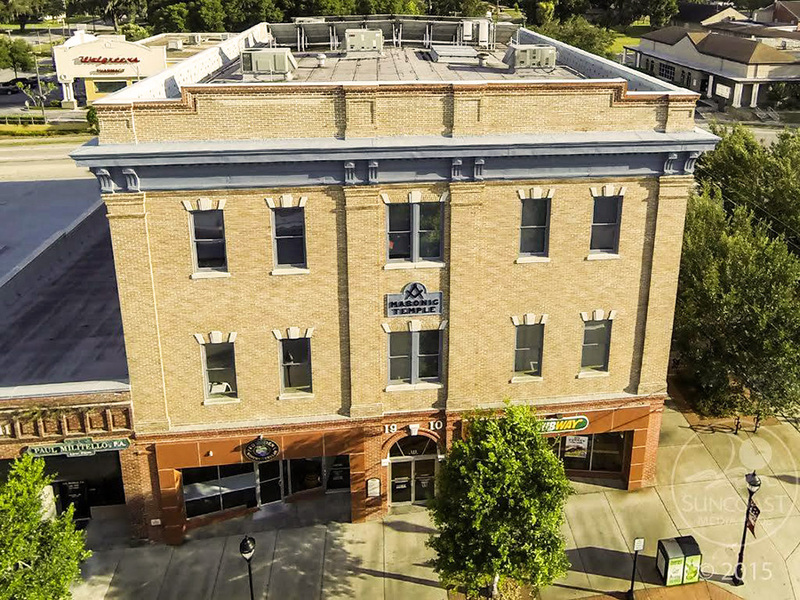 A few caring owners and tenants (the Citrus County Commission occupied the building from 1993 until 2003) throughout the years made their mark by upgrading and modernizing areas of the building. It barely missed the wrecking ball when U. S. Highways 41/44 was redesigned to wrap behind the building instead of through it. 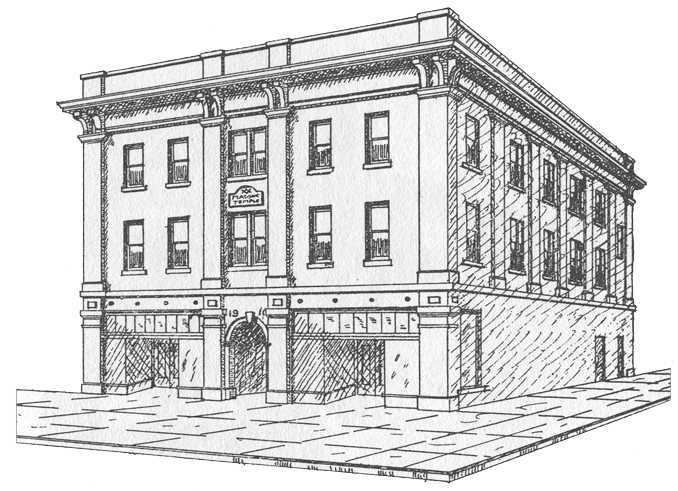 Finally in 2006, Drywell Group, LLC purchased the Masonic Temple and rechristened it the “Masonic Business Center”. From 2007 until 2009 an extensive renovation occurred where all the systems were inspected and upgraded. Wood floors were refinished, period furniture, lighting, art, and paint colors were researched and added throughout the building. The exterior was extensively painted, repaired and the brick re-pointed. A “historic photo gallery” of the building was added along the first floor hall and exhibit cases on the first and second floor. 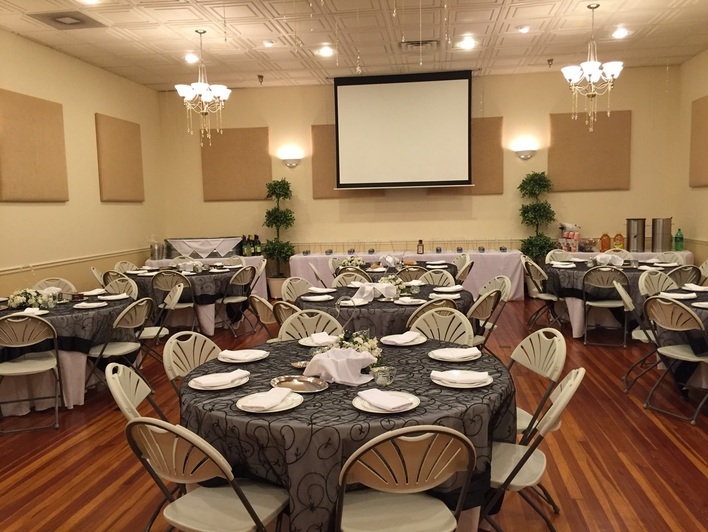 Multimedia capable, the Masonic Ballroom on the 3rd floor of the building is 1,100sq ft. It has variable lighting, surround sound, disco ball, HD projector, remote screen, wireless mics, capable of seating 145 theater style and 100 for dinner seating without a dance floor. Rental includes catering room use (with it's own bathroom). 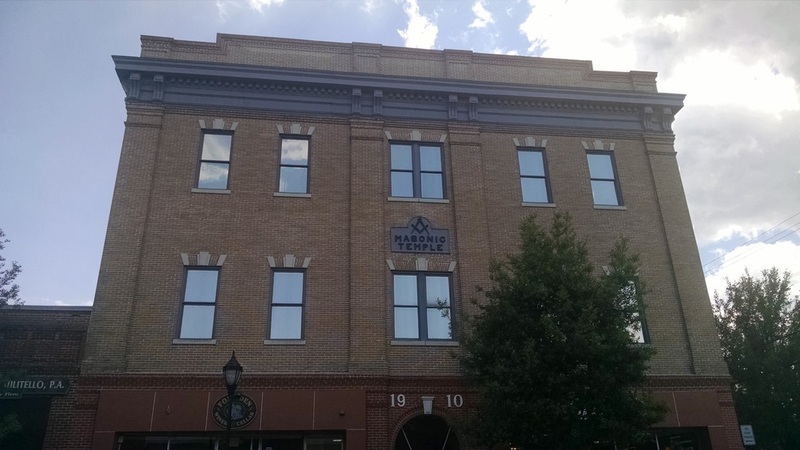 Now, the “Masonic Business Center” is revitalized and ready to be the preeminent business address in historic downtown Inverness again.